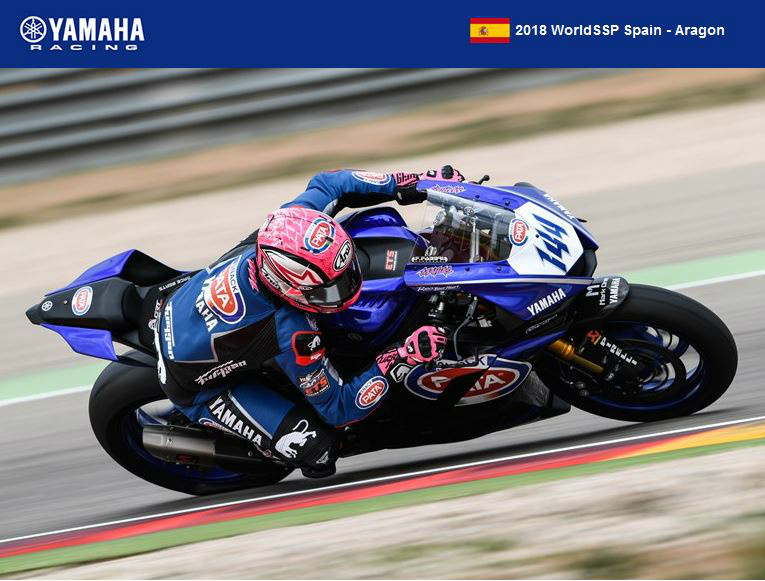 The GRT Yamaha Official WorldSSP Team secured their third consecutive double front-row start on Saturday in Aragon at Round 3 of the 2018 Supersport World Championship. Reigning WorldSSP Champion, Lucas Mahias, just missed out on securing his fourth pole position in a row by 0.022s and will start Sunday's race from second on the grid. His teammate Federico Caricasulo was just a further 0.059s further back in third and will join his teammate on the front row for Sunday's race. Alfonso Coppola also impressed in the European Supersport Cup, improving his time from Friday by 1.714s to qualify in 20th.